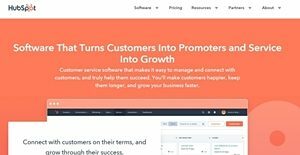 What is HubSpot Service Hub? Service Hub is the latest product of HubSpot which, together with HubSpot CRM, Marketing and Sales, gives you a complete suite of tools to help you engage, guide and grow your customers. The new product line comes with a comprehensive suite of features that lets you and your customer service teams provide the best customer experience. The introduction of Service Hub provides you a full front office solution. You now get one view of your customers across sales, marketing and service. The unified platform means that your marketing team, sales team and service team can now have a single consolidated customer record from which they can extend optimum support. HubSpot’s Service Hub came about as part of a massive push to build solutions that help you deliver great customer experience to your customers. Based on its studies, experience, and research, HubSpot identified profound changes in customer behavior. Customers now are more demanding, less patient, and have higher expectations, making it a real big challenge for businesses to retain customers. However, the secret to engaging customers is simple – keep them happy. Essentially, this is what Service Hub is for – to transform average customers into active promoters of your business. Through the solution’s features and capabilities, your service team will be able to respond faster to customer issues, deliver personalized support, encourage customers to help themselves, and get crucial feedback to better understand your customers. Service Hub will enable your team to put their acts together and systematize the approach to addressing customer concerns. All these of course are within the Inbound Service Framework encapsulated in three words – engage, guide and grow. These are the fundamentals for extending great customer experience which simply starts with a conversation, something you may already have been doing but with little effect or discernible impact. Service Hub will help you leverage the simple act of conversation to delight modern customers and make them advocates of your brand. It is a given that people look for conversational experiences – in their daily lives and in their work. The situation is the same for consumers. Service Hub harnesses what consumers search for, letting you match the way consumers communicate with conversations including channels such as chat, email, and social. This approach expedites and deepens more conversations which allow you to understand and learn more about your customers. Conversations feature is the core component of Service Hub, letting you engage more customers with added context. It comprises a universal inbox that helps teams collaborate on customer support at scale. Aside from email and live chat, you can add other channels and touch points to the universal inbox so that your whole team can collaborate on one spot for messages, whatever channel or source they came from. When you respond to a message from the conversations tool, your reply will go out via the channel or source it came in. Conversations literally becomes the new home base for your team’s communications, allowing a single view of the customer for all your teams. The tool takes it roots from HubSpot CRM, so it’s rich with context about who you’re talking to and what you know about them from the marketing, sales, and service perspective. The system greatly aids in multi-channel communication which is otherwise difficult to monitor and manage especially if messages arrive simultaneously. From having great conversation with customers through various channels, you get to learn more of your customers – what they need or don’t need, what their preferences are, their likes and dislikes, etc. The wealth of information you gather can now be used to shape how you proactively assist your customers, where to direct your resources, and when and where to deploy best practices. Service Hub’s tickets system will be your handy tool to meet customers’ expectations particularly when customer demands go on the upswing and your business grows. With tickets, you’ll be able to track, order, collaborate, and deliver on customers’ needs and address issues. The ticket object can be associated with a contact, allowing your teams to see if a customer has an open issue. Tickets come together to form a ticket board where your team can see what problems need to be quickly resolved. Another way to guide your customers is through the knowledge base feature. In fact, this helps your customers help themselves by giving them the means to seek solutions. Service Hub helps you look for trends in tickets and turn them into simple, well-structured articles on your site that automatically index on Google. This lessens the load on your support team from repeatedly answering the same question and issues. With the knowledge base, customers can simply search for solutions from a exhaustive set of articles, documentation, how to guides, tutorials, FAQs, and other resources neatly organized and searchable. Through a reporting dashboard, you’ll know how good your resource contents are at solving customers’ issues and deflecting tickets, and can work to improve said contents if they don’t deliver. Once you’ve engaged and guided your customers, you can then ask them to tell your story. Service Hub comes with a customer feedback feature where you can identify your top promoters and get them involved in your customer marketing activities. It can be a case study program, a workflow that triggers when someone has a high Net Promoter Score (NPS) who you can request to fill out a review, and many more. The feedback tool lets you create surveys and collect audience insights to help you better understand your customers. You can routinely capture qualitative and quantitative feedback from your customers. This can be as simple as a yes-or-no question related to a support experience or a 20-question annual NPS survey. You can also map out a plan to regularly survey customers, enabling you to discern common issues and focus on promptly addressing these. All these data and information flowing in can be put to good use. Aside from knowing who your biggest promoters are, you can use the information to build marketing campaigns that help these customers tell the world about your product. You can ask customers to write reviews, share social content, write a blog post about your company, or be highlighted as a case study. The influential customer voice becomes your lynchpin for inexpensive exposure and promotion. Everything that you gather from tickets, knowledge base, and customer feedback is a treasure trove of data waiting to be analyzed. On that respect, the new service reporting dashboard comes at the forefront to tell you all that you need to know. Tickets. As your support teams work through tickets from the ticket board, you’ll see data organized in the service reporting dashboard and you’ll have access to reports such as current tickets by status, tickets by source, average response time, and ticket volume over time. It will show you a real time window into what your team is working on, trends in their work and performance, and the channels that are operating optimally. Knowledge base. As you create and put in more knowledge articles and as more people find them, you’ll start compiling data on them in the dashboard and see reports such as views over time, most viewed articles, and more. You can use this data to enhance your library of knowledge articles, develop more of particularly helpful articles, or update ones that aren’t getting any views. Customer feedback. With survey data streaming in to your HubSpot system, you’ll receive important reports including NPS over time, feedback over time, and feedback breakdown by sentiment. You get to view the health of your customer base. You can check reports regularly so that you and your team get to track and learn how customers feel about your business. What Problems Will HubSpot Service Hub Solve? Problem: Communicating and engaging customers is always a challenge. Solution: Service Hub’s Conversations tool lets you manage one-to-one customer communications at scale through a universal, collaborative, inbox that aggregates customer emails, chats, and more and is accessible to your entire team. Problem: Customer service is a time-consuming and complicated process. Solution: Service Hub’s automation and routing capabilities streamlines your customer service processes with ticket routing, escalation, and task creation. You can utilize feedback responses to kick off automated customer marketing emails or internal notifications to your team. Problem: You don’t know how to qualify and quantify your customer service performance. Solution: Service Hub provides analysis and reporting that allows you to measure the impact of your customer service efforts with built-in reporting tools that track knowledge base usage data, ticket volume and response time, customer feedback, and more. Companies have different needs and requirements and no software solution can be ideal in such a situation. It is pointless to try to find an ideal out-of-the-box software system that fulfills all your business wants. The intelligent thing to do would be to adapt the system for your special wants, employee skill levels, finances, and other aspects. For these reasons, do not rush and subscribe to well-publicized trendy systems. Though these may be widely used, they may not be the ideal fit for your unique needs. Do your research, check out each short-listed system in detail, read a few HubSpot Service Hub reviews, call the maker for explanations, and finally settle for the product that offers what you need. How Much Does HubSpot Service Hub Cost? Pricing is on a per-user basis. The Service Hub Professional starts at $400/month at 5 users (+ 80/mo. per additional user). You get all features with the HubSpot branding removed. Plus, add-ons are available at $200/month for Reports and $500/month for API. We realize that when you make a decision to buy Customer Support Software it’s important not only to see how experts evaluate it in their reviews, but also to find out if the real people and companies that buy it are actually satisfied with the product. That’s why we’ve created our behavior-based Customer Satisfaction Algorithm™ that gathers customer reviews, comments and HubSpot Service Hub reviews across a wide range of social media sites. The data is then presented in an easy to digest form showing how many people had positive and negative experience with HubSpot Service Hub. With that information at hand you should be equipped to make an informed buying decision that you won’t regret. What are HubSpot Service Hub pricing details? What integrations are available for HubSpot Service Hub? Hubspot's user interface is excellent, although the overly-simplistic UI also has its drawback - finding features and getting information can be tough. If you need more information about HubSpot Service Hub or you simply have a question let us know what you need and we’ll forward your request directly to the vendor.